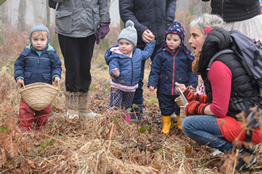 A group for pre-school children and their parents / carers – join us to explore the wonderful wildlife of Ashdown Forest through a short walk with seasonal crafts and activities. The group meets every 3rd Monday of the month. Please wear long trousers, proper shoes and clothes that can get dirty.